Data-driven insight is more elusive than ever for today's business professional. When business users get reports from analytics experts, they are usually static presentations and spreadsheets that are difficult to explore and slice and dice. These reports are challenging to access, let alone drill into, from a mobile device. 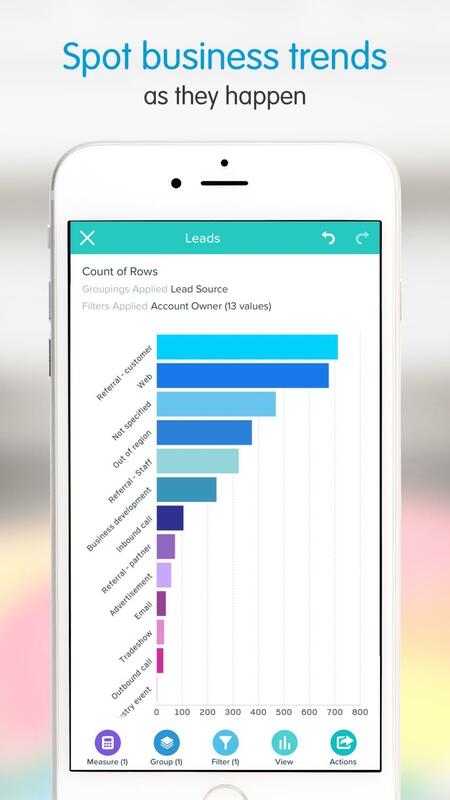 Salesforce Analytics Cloud is designed to make it easier than ever for anyone to explore data, uncover new insights and take action instantly from a mobile device. One can also easily share dashboards and collaborate with teams via Salesforce Chatter (our social network for business). Creating delight was a primary goal. Our audience and their use cases took center stage in our design process. 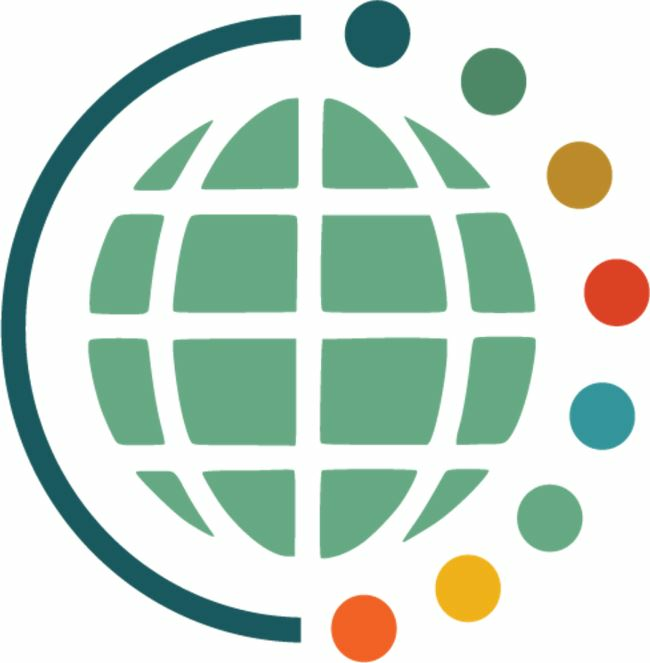 Unique to our User Experience, demonstrating our key principle of democratizing data, are the in-app sample data sets that allow anyone to explore data. Our User Research included interviews, participatory design, usability tests and unmoderated online studies to optimize the User Experience. 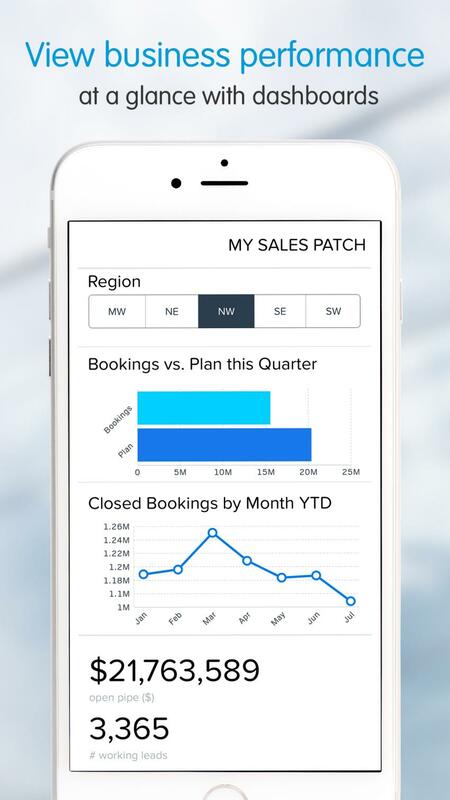 Over 350 research data points ensured the voice of the customer truly shaped our app. We iterated designs based on user feedback and are proud to share this customer reaction: “The heavens opened and the angels sang!". We shortened the learning curve of an analytics tool by creating a clean, easy UI. The charts come alive with fluid animations and transitions. The rich, highly interactive visualizations delight users and make spotting trends, and eliciting insights, intuitive. 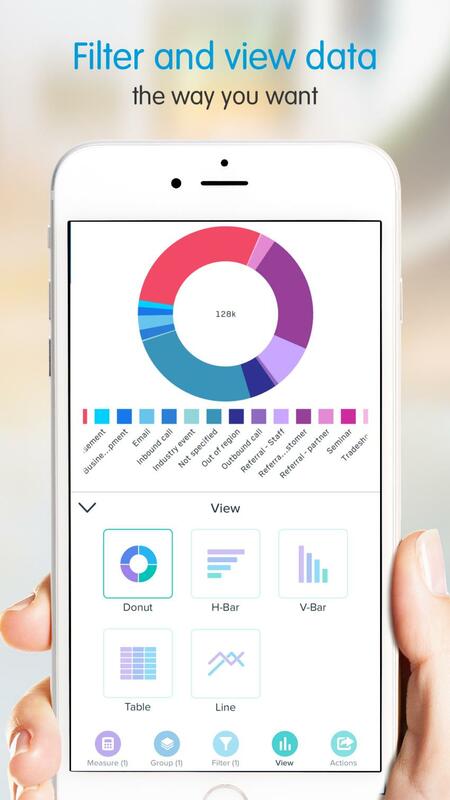 Our relentless focus on simplicity resulted in our innovative donut chart navigation, which is not only functional but also fun. Ongoing feedback is as important to us as User Research was prior to release. Since launching in October 2014, our app has received a Net Promoter Score (NPS) of 62 as well as 4.5 out of 5 stars on the Apple app store.